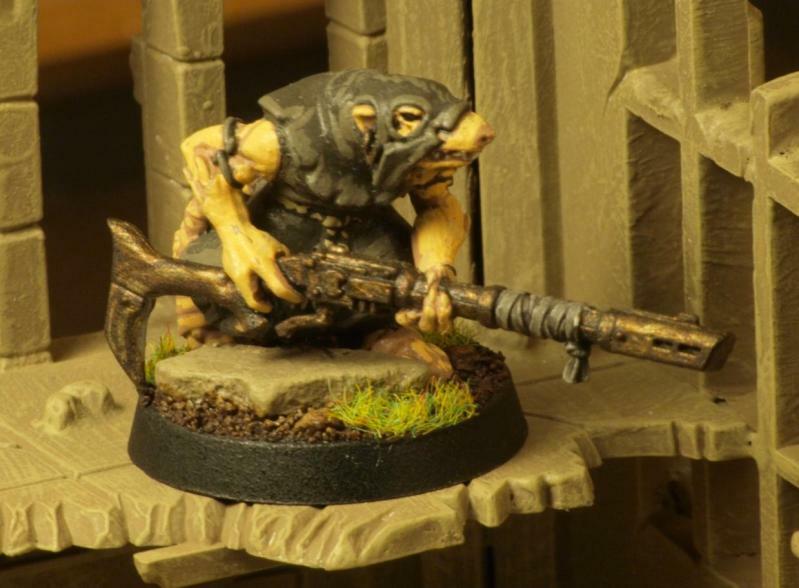 But I always loved the funny little cloaked, rat-tailed “Nocturnal Warrior of Hrud” from the third edition rule book (see top image), and that is the look I decided to go for with this army. 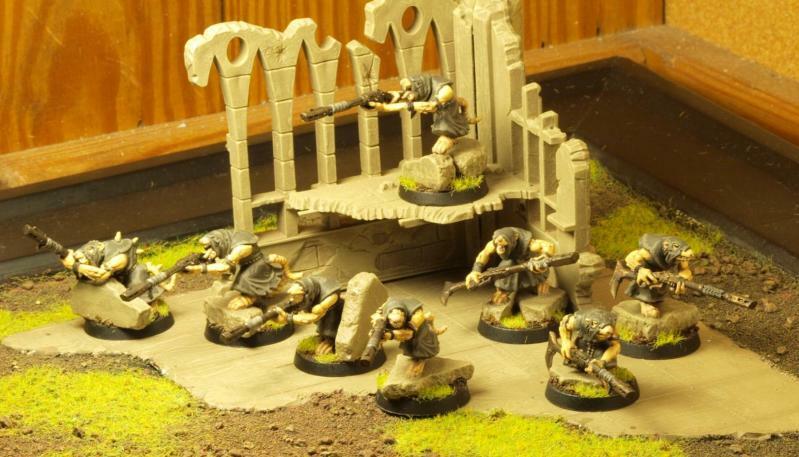 The obvious choice for modelling was to use fantasy Skaven figures, and after a quick perusal of the line, I decided that Plague Monks would make a nice, simple-looking base for my Hrud. I didn’t want to make the gaming faux pas of just putting a Skaven army on round bases, so I looked through my bits box, and finally decided that Kroot arms would give the models a lanky, creepy look, and their guns would make nice Hrud Fusils (their traditional weapon, according to the Inquisitor rulebook). Add a few rocks on the base and a coat of paint, and viola! My Hrud Fusiliers (counts as Eldar Pathfinders) were born. After making about 40 of them, enough to be the meaty center of my army, I broke away from the established (if outdated) fluff guidelines and started making the rest of my forces. 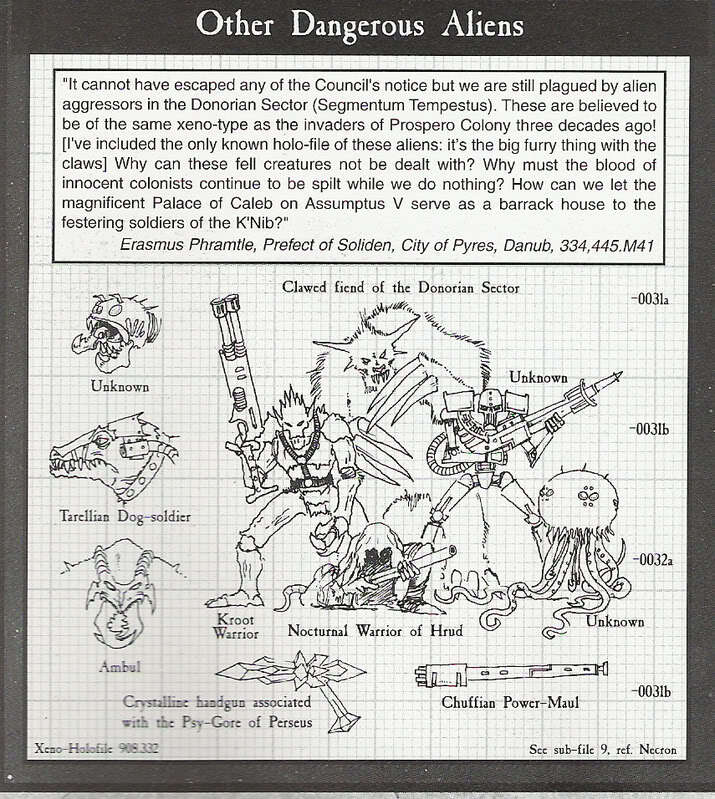 I wanted something fast moving, that used dangerous scavenged technology, So I looked through GW’s online Bitz catalogue (yeah, remember when that existed?) and settled on a Skaven Warlock backpack to be a warp tunneling device. I used various bitz to craft creepy helmets reminiscent of the Necromonger Lensers from that crappy Chronicles of Riddick movie, and gave them smaller guns with large clips. 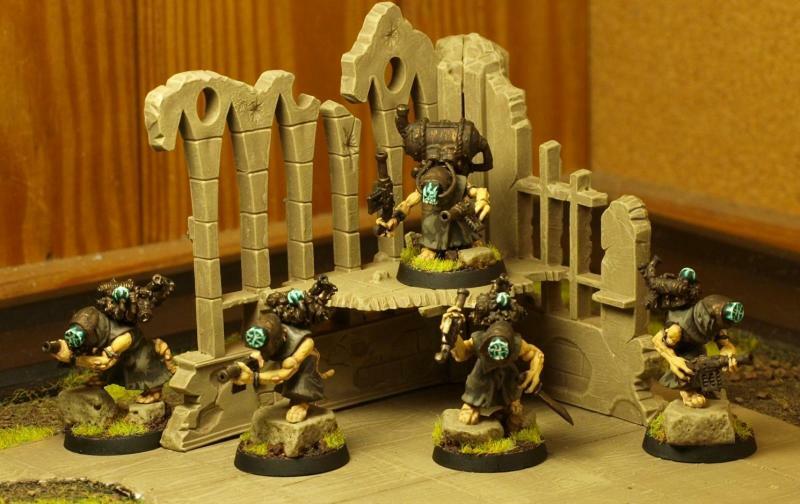 Enter the Hrud Warp Tunnelers (counts as Warp Spiders). Now my force was looking set for infantry, So I moved onto vehicles. These stumped me for a while, because I wanted something that looked shoddily constructed out of scavenged crap, but that would also match the approximate footprint of an Eldar skimmer. 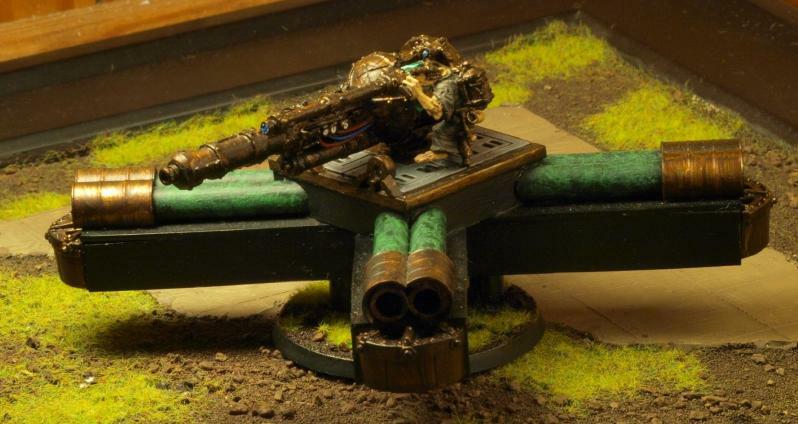 I ended up using plasticard and bits to make large cross shapes with various tubes and whatnot, and used a warp lightning cannon as the main gun. I was a bit strapped for time when making these, so I didn’t get to spend as much time as I would have liked constructing or painting them, but I think they came out all right. I give you my first Warp Plasma Launcher (counts as Fire Prism). Now the force was really coming together, and didn’t need much else other than a leader to tie them together, and look good doing it. This is by far my favorite model in the army. 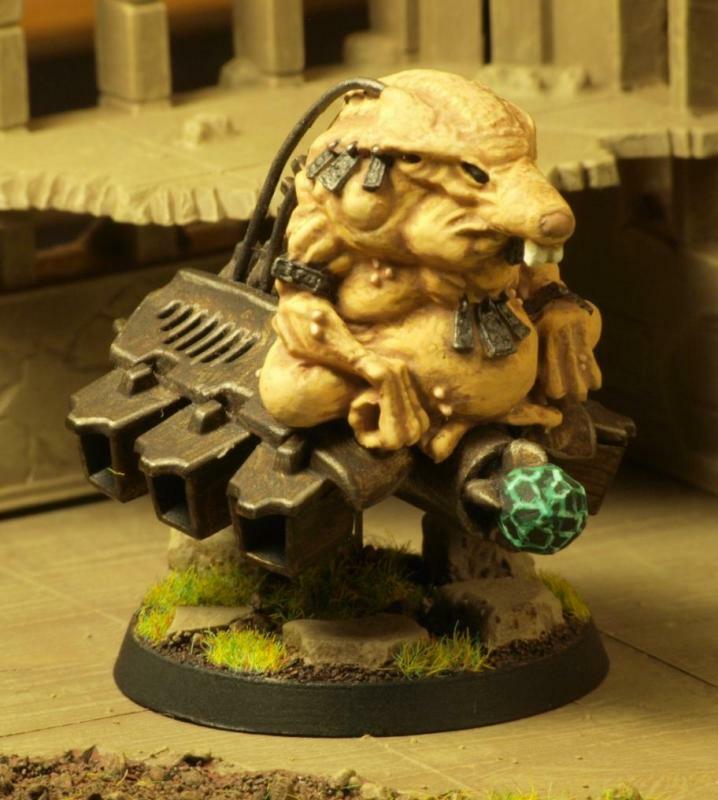 I was looking online for ideas, and found a link to a Hrud army someone else had built that had a disgusting fat floating rat leader, and I just had to steal the idea. It’s a pretty straight forward conversion with a little bit of green stuff, but I love the way it came out. 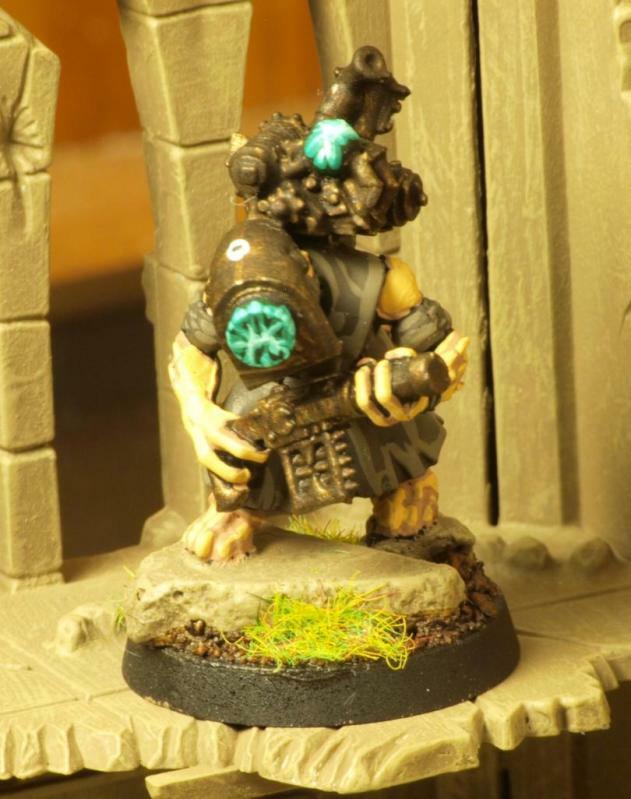 Here he is in all his horrible glory, Lord Rattus (counts as Farseer on Jetbike). This army was the first that I had set out to finish before a looming tournament deadline and actually completed on time, and I think they came out well. They had the 11th best appearance score at the GT I took them to, which I was proud of, as I painted them before GW came out with their liquid skill line of products. 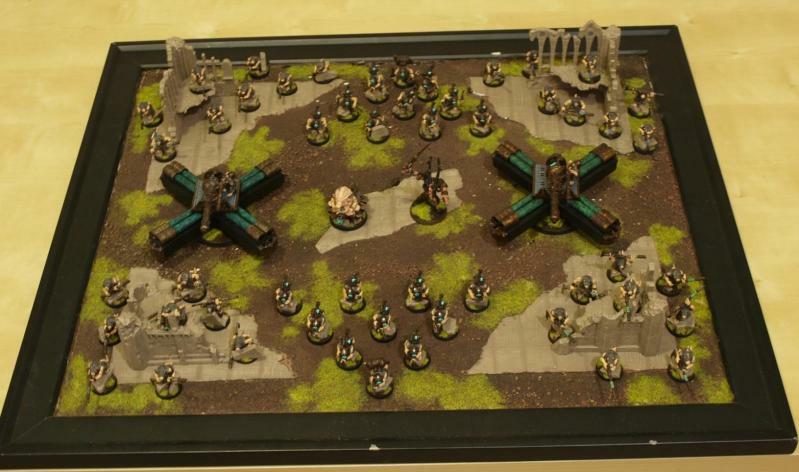 Here is a shot of the completed army with their display board (which was not well constructed, and is falling apart now), let me know what you think of them in the comments. 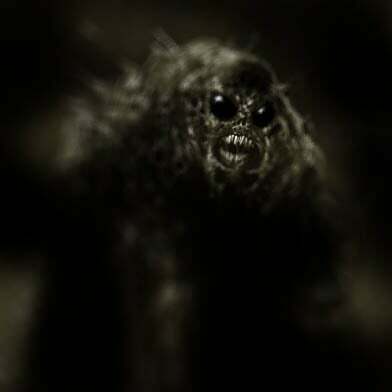 Enjoy folks, and comments are welcome. The Girl will return to her regular schedule next week!